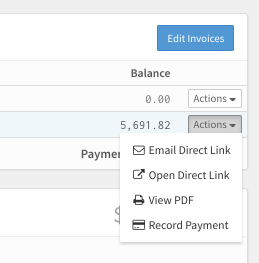 Follow these simple steps for sending off an invoice to a client manually. First, you'll pull up the client's order on their job's Quotes & Orders tab by clicking on its name or the view button. If you scroll down to the bottom portion of your client's order, there will be an Invoices box that includes all of the individual invoices created with your order. If you'd prefer that Táve send out your invoices as they become due for you, explore our tutorial on Invoice Reminders using automations. 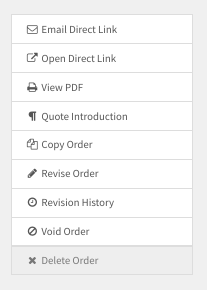 If you view the PDF of an order or an invoice (see the above screenshot), you can print or download it by clicking either the print or download icon found at the top of the screen.